Michelin chef X Soup kitchen | Everything Delicious. 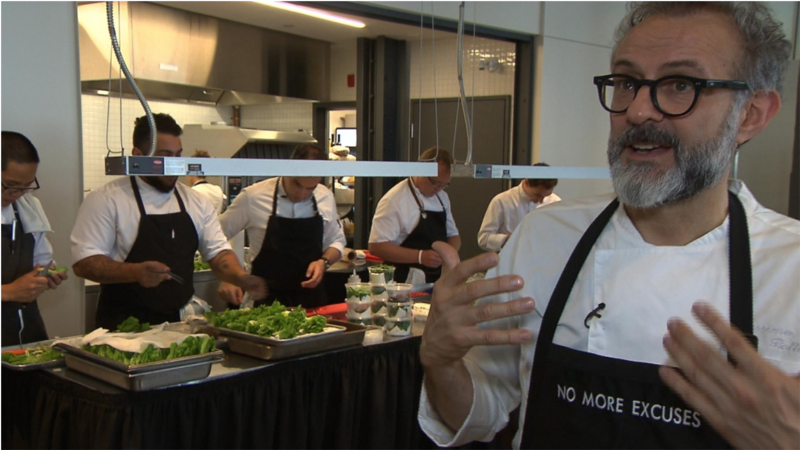 Massimo Bottura (a Michelin-starred chef) just opened a soup kitchen in Italy. But it’s not any kind of soup kitchen. He calls it a restaurant, doesn’t serve soup but delicious chefs’ recipes and doesn’t let people line up in front of a truck but rather sit around a table and be served by waiters. Sharing the joy of food, giving back, & providing a bit of dignity. And that’s not all. The cherry on top is that Massimo is prepping the food only with leftovers from supermarkets that would otherwise be thrown away, thus tackling food waste and hunger at the same time. Pingback: M. Bottura opens Refettorio in Paris | Everything Delicious. This entry was posted on March 19, 2018 by Pauline Rosen in News feed and tagged food waste, massimo bottura, michelin chef, soup kitchen.